The intent instigator and director Rick Robinson intoned, slam poetry-style, at evening’s start: To knock classical music off the pedestal, have some fun, bring the music where the people are. Mr. Robinson, in a sense, is a modern day Dvořák. Known as “Mr. 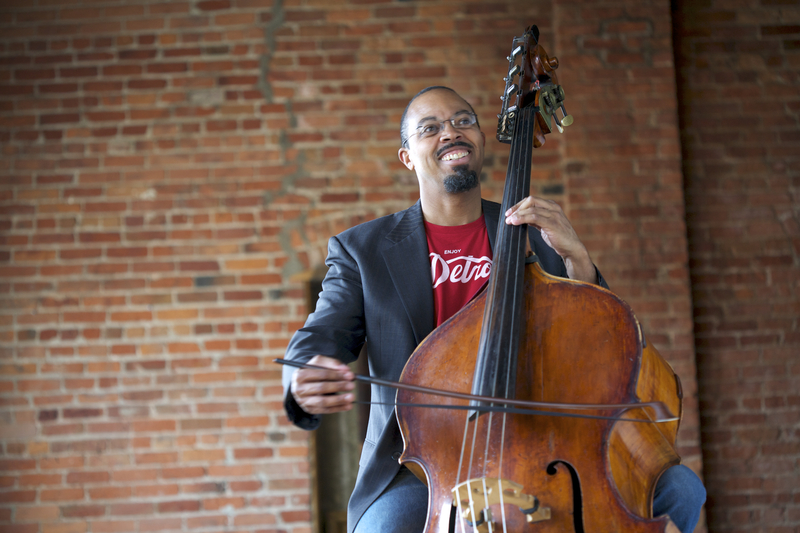 CutTime,” this Detroit Symphony bassist is a passionate advocate for classical music and musicians stepping down from the pedestal of the concert hall and merging into the musical life of the community: schools, clubs, bars, coffeehouses…basically anywhere where people congregate. This is far from a new concept, but Robinson’s personality, aggressive advocacy of this, and his remarkable playing, composing and arranging skills put him in the forefront of this movement. The transcriptions are very well done. They are clear, concise and faithful to the originals. What they lack in terms of orchestral heft, they make up for in terms of clarity and lightness. Thanks Rick I went to You Tube and listened to what you have done with fellow players from the Detroit Symphony to bring classical music to new audiences. I really think that you are doing something very significant. You are in the right place doing the right thing. Not everyone believes in God. I happen to. Whatever we find he wants us to make it better than we found it. You are certainly doing that!!! Rick Robinson is bringing classical music to the masses — which may be one of the most challenging jobs in all of music. The former Detroit Symphony Orchestra bassist has loved classical music all his life, and it frustrated him that the genre struggled to find new fans. He couldn’t understand why the sounds that moved him so deeply should be cooped up in grand concert halls and churches, inaccessible to new audiences. Next read some of Mr. CutTime’s recent comments for changing the conversation around classical.